Super Mario Odyssey (game, 2017). A platform video game by Nintendo. Developed by Nintendo EPD. Official Trailer. 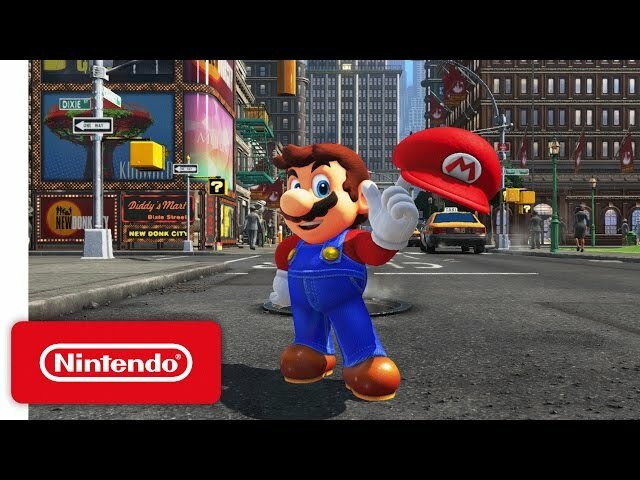 Super Mario Odyssey is a platform video game by Nintendo, developed by Nintendo EPD. Super Mario Odyssey Accolades Trailer - Nintendo Switch. Bowser, with the aid of the Broodals, a family of anthropomorphic rabbits serving as his wedding planners, kidnaps Princess Peach from the Mushroom Kingdom and takes her aboard his airship, intent on forcibly marrying her. Mario attempts to rescue her but is thrown off the ship by Bowser's top hat and falls into the neighboring Cap Kingdom. With Mario gone, Bowser stomps on Mario's cap and begins his wedding to marry Peach. Bowser leaves Mario's cap to drift into the ship's rear propellers, shredding it to pieces. A piece of the hat is grabbed by Cappy. 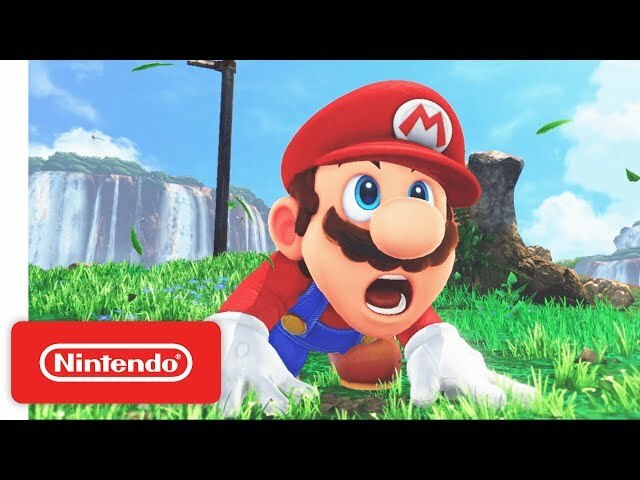 Mario meets Cappy, one of the Cap Kingdom's sentient hat-like creatures, and learns that Bowser also kidnapped Cappy's sister Tiara to be used as Peach's wedding tiara. 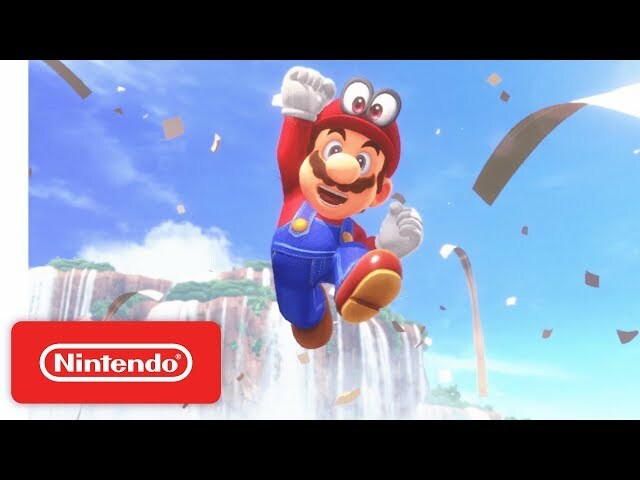 Cappy joins Mario and takes the shape of Mario's cap, providing him with the ability to temporarily possess ("capture") other creatures and objects. They travel to the nearby Cascade Kingdom and recover an airship, the Odyssey, and begin pursuing Bowser. 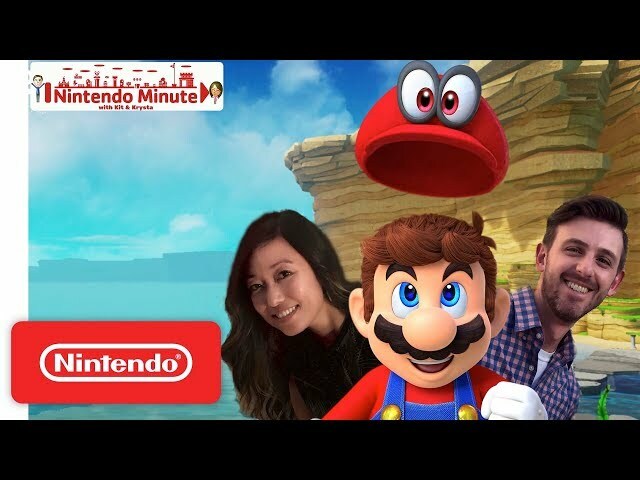 Mario and Cappy explore the various kingdoms to collect Power Moons to fuel the Odyssey and battle the Broodals, who steal artifacts from several kingdoms to set up Bowser's wedding. Eventually, they catch up to Bowser in his own kingdom and defeat the Broodals. However, Bowser departs for his wedding on the Moon. Mario and Cappy fly the Odyssey to the Moon's surface and confront Bowser inside a cathedral. Mario and Bowser battle in an underground cavern. Mario wins the battle and frees Peach and Tiara, but the cavern begins to collapse. 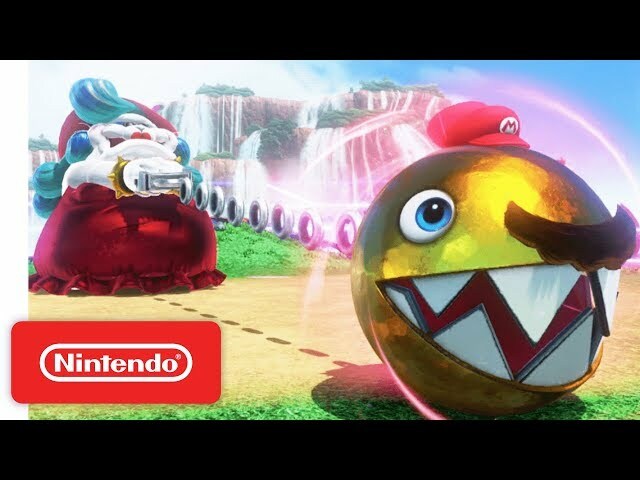 Mario captures an unconscious Bowser and escapes to the surface with Peach and Tiara. After Peach thanks Mario for his help, Mario and Bowser, who regains consciousness, attempt to marry Peach, who rejects both of them. Peach, Cappy and Tiara board the Odyssey. Mario and Bowser get upset before Peach tells Mario that it's time to go home. Mario boards the ship just in time, leaving Bowser stranded on the Moon. 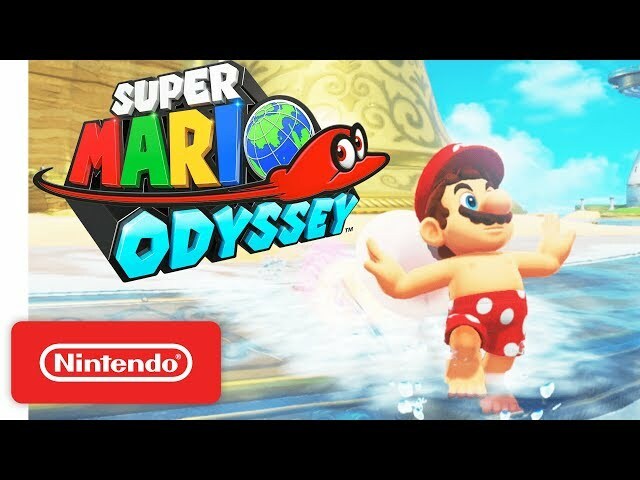 Super Mario Odyssey is a platform game in which players control the titular protagonist, Mario, as he travels across many worlds on the Odyssey, his hat-shaped ship, in an effort to rescue Princess Peach from Bowser, who plans to marry her. The game sees Mario traveling to various worlds known as "Kingdoms", which return to the free-roaming exploration-based level design featured in Super Mario 64 and Super Mario Sunshine, with each featuring unique designs ranging from photo-realistic cities to more fantasy-based worlds. 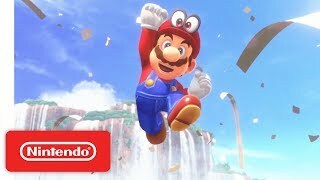 Each kingdom has Mario searching for and clearing various objectives in order to obtain items known as Power Moons, which can power up the Odyssey and grant access to new worlds. Checkpoint flags littered throughout each world allow Mario to instantly warp to them once activated. 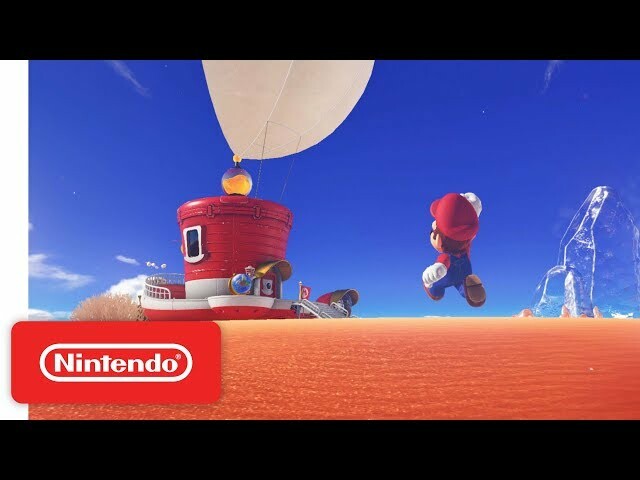 Certain levels feature areas called "flat" zones, where Mario is placed in a side-scrolling environment similar to his appearance in the original Super Mario Bros.
Super Mario Odyssey was scheduled to be released by Nintendo on October 27, 2017 (worldwide). This video game is available for the following platforms: Nintendo Switch.